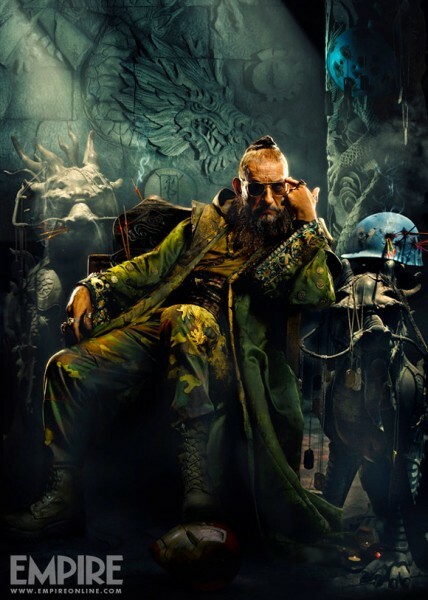 It’s no secret that the Mandarin is going to be very different from his comic book counterpart in Iron Man 3. In the comic books, he’s half-Chinese and has many different special powers, thanks to his ten power rings. In the movie, he’s obsessed with Chinese symbols and dragons, but his nationality is unknown. Director Shane Black goes into detail on The Mandarin’s background for Iron Man 3. Since the Iron Man movies have all been grounded in reality, the ten power rings was likely going to be removed. At least he’s still wearing ten fancy rings. As for the whole Fu Manchu stereotyping, I still think Shane Black could’ve hired an Asian actor to play the Mandarin without stereotyping him. As an Asian I would like to see more Asian actors represented on screen, especially if they have a chance of becoming an iconic villain. But hey, I’m not a Hollywood director, so I don’t get to make the calls. At least Hogun from Thor was played by Tadanobu Asano, an Asian actor.